WHY BECOME AN HGV DRIVER? In order to become an HGV driver, you will have to first have to meet the requirements to qualify for your licence. However, once you have done this there is little else in the way of training in order to prevent you walking into the job of your choice. There is such a shortage of HGV drivers in the country at the moment that you will be in high demand, so once you get your licence you will be able to enjoy all of the benefits that the job has to offer. Getting your HGV licence involves the need to qualify through a training course. Many companies offer these and they can last as little as five days. However, lengths of courses can vary, as can the price you will have to pay. There are two types of licence when it comes to driving HGV’s. The first is known as the Category C licence. This refers to rigid vehicles – all-in-one units – which are categorised as HGV Class 2 vehicles. You will need to get your Category C licence before considering the second type of licence, known as Category C+E. This refers to articulated – or “artic” – vehicles, which consist of a box trailer and cab, and these are referred to as HGV Class 1 vehicles. Before you get either of these licenses, you will have to apply for a provisional licence. This will require that you fill in two forms, the D2 and the D4. You can either get these from the DVLA, or if you apply through a company to carry out your training then they can provide these to you. The provisional license will in turn require that you already hold a full driving license for a car. The D4 is a medical form, so you will need to get a doctor to fill this in for you. Once the forms have been completed, you should send them off and wait for up to three weeks for your provisional licence to arrive, which will not require a fee. You will then be ready to undergo your training. Once you have got hold of your provisional licence, the next stage is the theory test, which you must complete before taking the practical test. There are various books that you can buy on the topic, and these will help you to pass the two phases on the exam, the multiple choice part and the hazard perception. Once you have passed the exam, you will then be allowed to take your practical test to become a qualified HGV driver. Before undertaking your practical test, you will want to undergo training. There are numerous companies offering training courses for the practical test, and choosing one will often depend upon how long it takes and how much it costs. The actual practical test lasts for an hour and a half, during which you will be expected to make numerous procedures and not pick up any major faults. Once you have passed the test you will receive your Category C license, enabling you to get a job driving one of these vehicles. You will also be able to apply for your Category C+E test, and after you pass this then you will be licensed to drive any HGV. Working Hours for HGV Drivers? 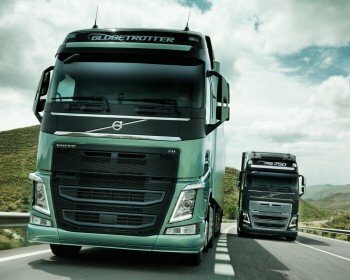 What does HGV Class 2 mean? What does Class 1 HGV mean? How Much Does a HGV Licence Cost? Can You Get Free HGV Training? Heavy goods vehicle drivers are an essential part of the distribution of goods between suppliers and their buyers. HGV / LGV drivers drive commercial vehicles of over 7.5 tonnes including rigid or articulated Lorries, tankers and more. You would work from distribution centres, factories and warehouses to transport goods to all areas of the UK and Europe. You could be spending many nights away from home especially if your trip involves a trip to continental Europe. Government legislation limits the amount of hours you can drive without taking a break. You could spend a lot of time away from home, which may include overnight stays, especially if you are travelling to Europe. Most of your time will be spent in your lorry cab and you will be driving in all weather conditions. It would help if you enjoy driving, have good driving skills and have a suitable level of fitness to work with loads. © 2008-2019 hgv-training.info - guides on training to be HGV driver.